If you’re looking for the right spot to find the ideal Toyota model for your lifestyle, try visiting our Toyota dealer near Greenfield, IN. 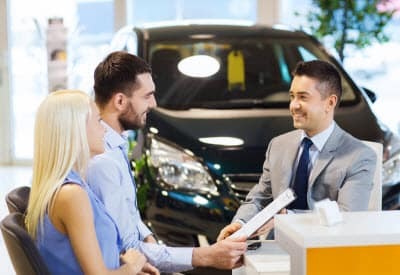 We want to make the car-shopping process easy for you, which is why we offer an expansive inventory of attractive models and a streamlined financial process littered with discounts and specials! So, keep reading and you’ll get an inside look at all the services we offer. Plus, you’ll learn something about the enticing town of Greenfield. Whether you want to climb into the driver seat of a versatile SUV, a no-nonsense truck, or a stylish sedan, you can do that after sifting through our inventory. We offer a range of different Toyota models, so you can find the right fit for your lifestyle. Take, for example, the fuel-efficient Toyota Prius. This compact sedan is great for your daily commute because it’ll help you avoid the pump while keeping you entertained with its flashy infotainment system. As for trucks, you can go with either the dynamic Toyota Tundra or the powerfully built Toyota Tacoma. Both models are designed to tackle big jobs, whether that means on-the-job work or a weekend project. To find out more about our available Toyota models, check out our online inventory. Our finance center is designed to be simple, and we accomplish this with the help of our highly trained consultants who can answer questions about anything from loans to payment structures. We also offer a range of special finance deals that will help you save money on your favorite Toyota model. A couple popular specials include our military rebate program and college grad program. You can also start the financial process at any time by filling out one of our online financial applications. We understand that your car will need routine maintenance as the miles begin to rack up. So, we’ve compiled a group of trained technicians to handle any repair, and they have the benefit of working with the advanced equipment in our modernized service center. 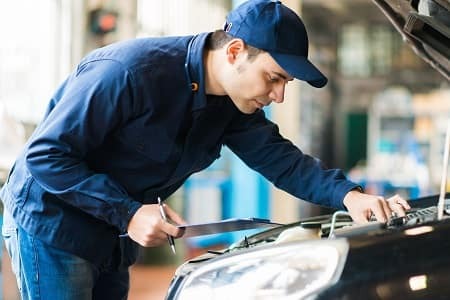 A few services we offer include state inspections, tire replacements, engine tune-ups, oil changes, and brake repairs. Plus, you can easily schedule an appointment with the help of our online scheduler tool! You’ll find fun everywhere you turn once you arrive in Greenfield, IN. The friendly local community is vibrant, diverse, and accommodating. If you’re looking to sample some freshly brewed ales, visit the Wooden Bear Brewing Co. This local gem has a delicious blend of seasonal brews and long-time favorites, including porters, stouts, and IPAs. For a little something to satisfy your sweet tooth, stop into Greenfield Chocolates. This gift shop has various treats and goodies that will catch your eye through the store window as you walk down the street. To get a better feel for everything the charming town of Greenfield has to offer, stop into our Toyota dealership and check out our diverse inventory of sedans, SUVs, trucks, and much more! Stop into our Toyota Dealer near Greenfield IN Today! Finding your favorite Toyota model starts by browsing through our online inventory. Once you’ve done that, it’s time to take that model for a spin! To schedule a test drive, contact Andy Mohr Toyota today.